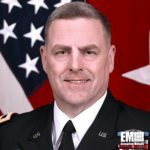 Army Chief of Staff Gen. Mark Milley has said the service will launch a restructuring effort as part of a modernization strategy that seeks to increase the U.S. military’s competitive advantage against regional and global threats across ground, air, maritime, space and cyber domains, Defense One reported Friday. The realignment seeks to facilitate the integration of warfighter requirements into the acquisition process, expedite concept prototyping processes and establish agile, cross-functional teams to carry out the Army’s modernization priorities through the establishment of “unity of command and unity of effort,” according to a letter dated Oct. 3. Such an effort aims to consolidate modernization processes under a common system to help speed up the procurement and deployment of technological platforms and critical capabilities to soldiers. 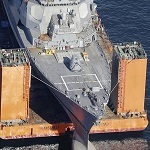 The letter also listed the service’s six modernization priorities such as long-range precision fires; next-generation combat vehicle; vertical lift platforms; network that works to help warfighters fight in electromagnetic spectrum-denied environments; air and missile defense capabilities; and sensors, body armors and load-bearing exoskeletons for soldiers. Milley co-wrote the letter with Ryan McCarthy, acting Army secretary.